Its official! 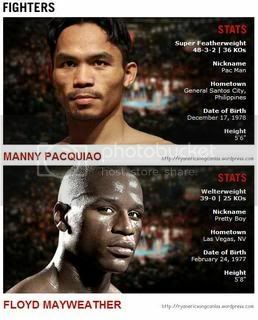 Pac-Man and Money Mayweather are set to fight on March 13, 2010. Its gonna be a good fight but I got my money on Mayweather. I know he talks alot of sh*t but he undefeated. I'd be doin the same thing if I was him.